There is a place near Aspen Colorado called Maroon Lake. The mountain peaks surrounding this insignificant lake are called the Maroon Bells. 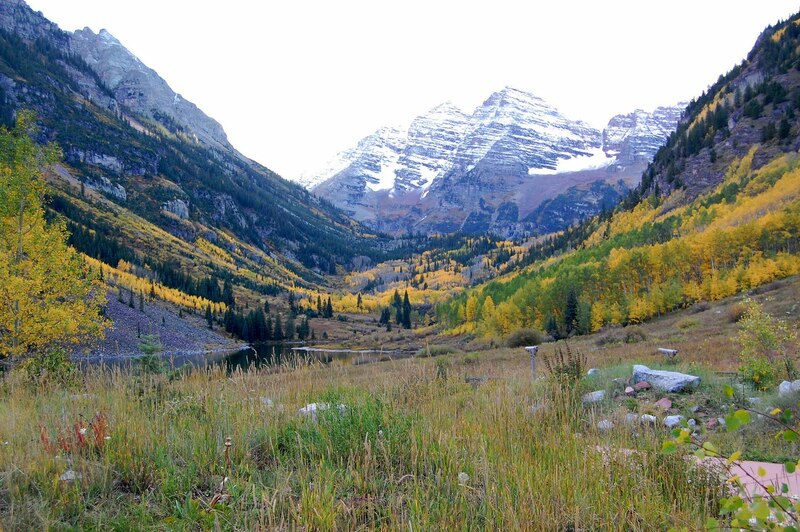 The Maroon Bells are one of the most over photographed places in Colorado. I'll post a photo or two of them later in the week. 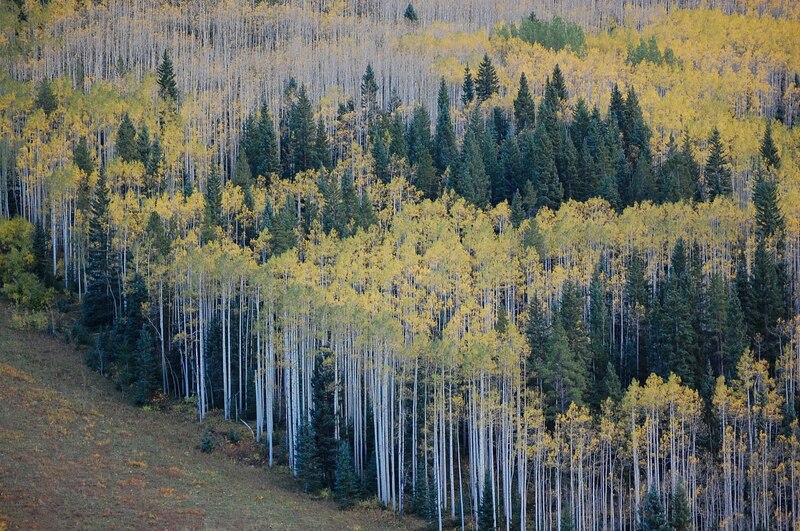 I caught this scene of Aspen's changing color along the road to the Maroon Bells about a week and a half ago. It was our first time there. We plan to go back. I awoke a little over a week ago to find a crude flyer attached to my garage door. 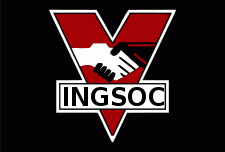 It had the words Big Brother is Watching You, along with the INGSOC logo. I immediately recognized it from the novel 1984 but didn't understand what it was doing there. Looking around at my neighbors homes, I saw a handful of them sporting the same flyer. Asking around I discovered that the flyers had been posted on many of the surrounding streets. I still don't know why someone went to so much effort to send such an obscure message. Many of my neighbor's had never heard of the novel and had no idea what it referenced, they were just angry someone had violated their personal space. As far as I could tell, it wasn't some sort of anniversary of the novel. We're no longer number one! Although not by much. This is one of the Maroon Bells located just outside of Aspen Colorado. 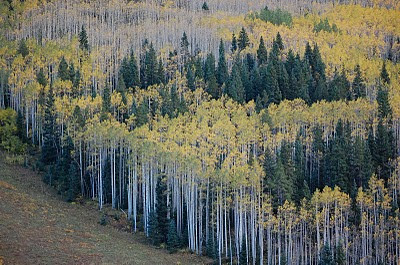 Fall has hit the high country of Colorado. The Peak should hit over the next two weekends. I've been having a few technical difficulties as of late. I'm on my fourth Quest DSL modum. Each replacement seems to be worse, and I recently lost my old beater Mac that I used for blogging. Since I of course would never blog on company time, that has made it very hard to do many posting. Things should pick up in the next week.